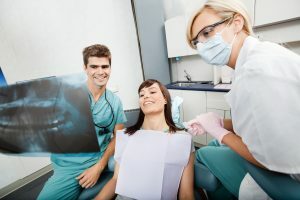 When many people hear the term “root canal”, they instantly think of a long, prolonged, and painful dental procedure that will somehow be psychologically scarring for life. The fact of the matter is that root canals get an undeserved bad rap. Thanks to today’s advanced dental technologies and 21st Century pain-killing protocols, most people who receive root canals feel almost no pain whatsoever. Margate Dentist — Why Are Root Canals Required? If your dentist tells you that you need a root canal, it’s because they have identified a problem that can easily be corrected. Their top priority is to save your tooth now, rather than having to pull it later. And they also want to save you from the pain and frustration of experiencing bigger, more difficult dental problems with the tooth down the line. A root canal is required when a tooth’s root has developed a large cavity or is damaged to the point where the tooth is at risk of becoming infected or inflamed. Margate Dentist — What Happens During a Root Canal? During a root canal, your dentist will numb the area thoroughly so that you should feel no pain at all during the entire procedure. Then an opening will be made through the crown of the tooth so your dentist can access the pulp chamber. Specialized dental files clean the infection and remove any unhealthy pulp out of the tooth canals, which are then shaped for filling material. During the process, irrigation is used to help keep the canals clean and to remove debris. Finally, the canals are filled in with some sort of permanent material, often with a dental material known as gutta-percha, which helps keep the canals clean and permanently free of infection or future contamination. Contrary to what many people believe, having a root canal is not a major ordeal. In fact, at McCosh Family Dental, it can be fast, painless, and can significantly improve the health of your teeth.